The city of Shippingsport no longer exists, but it is remembered through the name of this bridge. As it turns out, the bridge is actually named for Harvey J. Shippingsport, a Civil War hero. After settling on the southern bank of the Illinois River in this area, he made his fortune supplying bait to the commercial fisherman who used to fish the Illinois River. 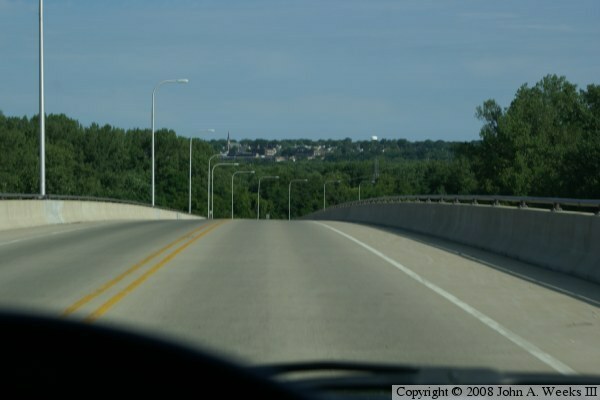 This is the third bridge to cross the Illinois River in this location. I was not able to learn much about the first bridge. The second bridge, built in 1929, was a 1,679 foot long multi-span truss bridge with a lift span across the main navigation channel. That bridge deteriorated to the point where it was no longer safe. Illinois DOT considered simply closing highway 351. 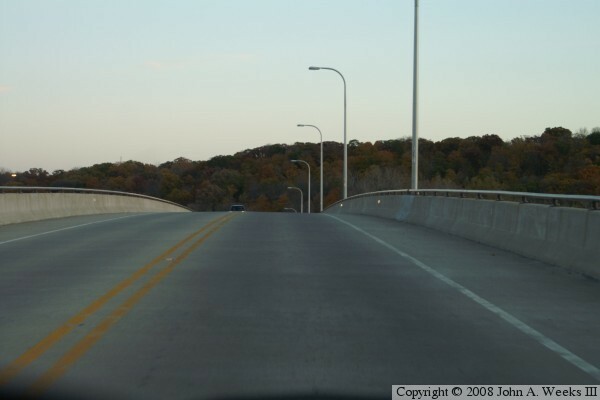 The local people organized and convinced Illinois DOT to rebuild the bridge. Due to navigation requirements, the new bridge had to be located in the same spot as the old bridge. The result is that the old bridge was removed before the new bridge could be built. 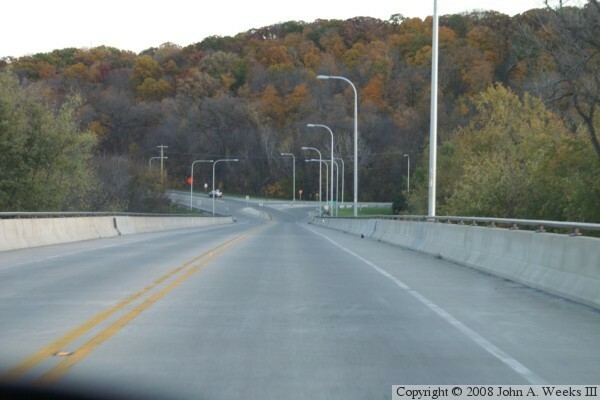 This resulted in the river crossing being closed for 2 years from late 2001 to October 29, 2003. That was 1 year shorter than planned due to the bridge being built much faster than was expected. 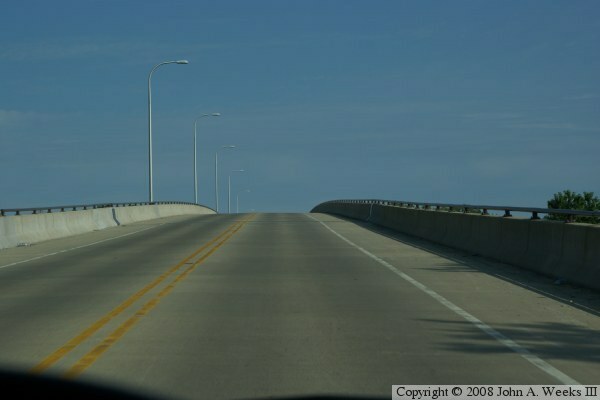 The Shippingsport Bridge historically carried traffic for US-51, a major north-south highway between Wisconsin and New Orleans. A bypass was built around Peru and La Salle in 1958. 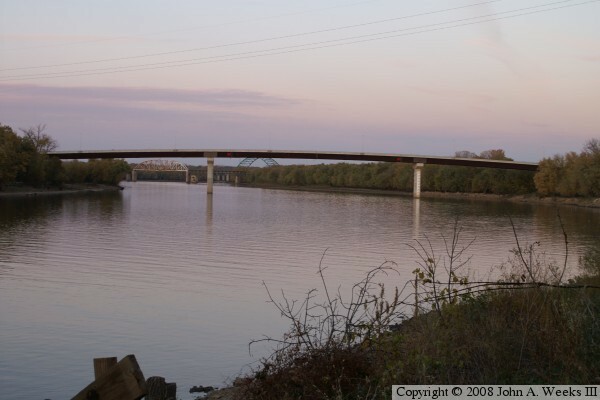 The bypass took the designation of US-51, leaving the Shippingsport Bridge being Business-51. Interstate highway I-39 was extended south to the Peru and La Salle area in 1987. 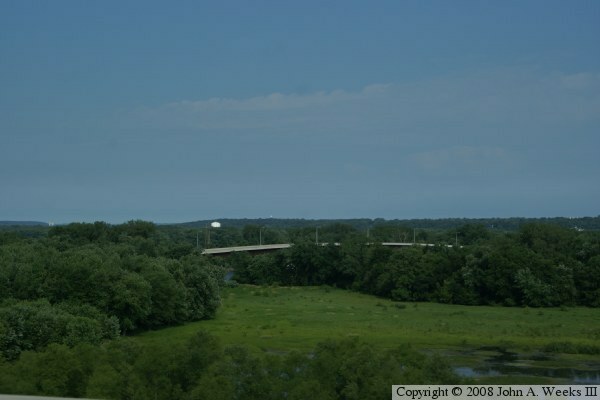 I-39 featured the mile and a half long Abraham Lincoln Memorial Bridge just east of Shippingsport. 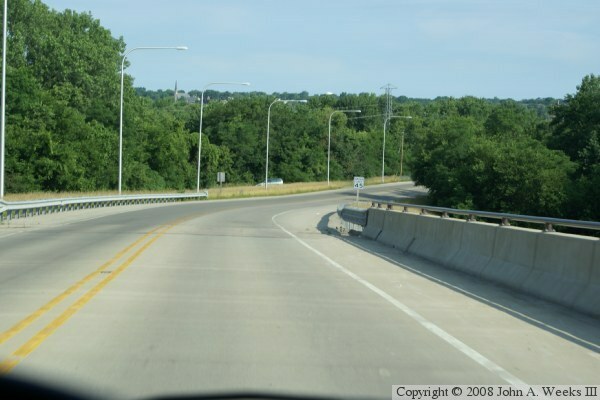 I-39 ended when it merged into the US-51 bypass south of town. 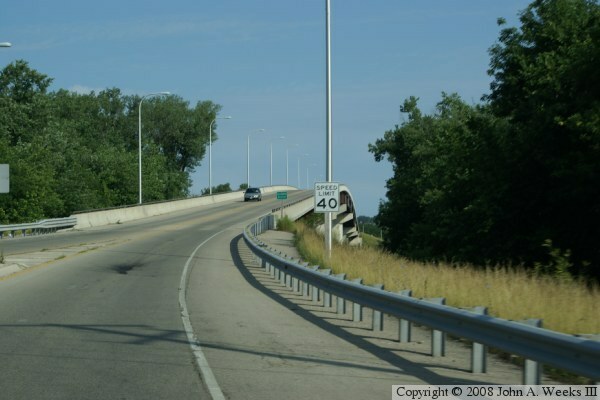 At that time, the old US-51 bypass was turned back to the state of Illinois and was given the designation IL-251. Business-51, which used the Shippingsport Bridge, was given the designation IL-351. The new Shippingsport Bridge uses a newly developed high-performance steel. This allowed for thinner girders that could carry across a longer span. This resulted in the need for fewer piers, and gives the bridge a thin graceful profile. The photos above and below show two bridges in the background of the photo. 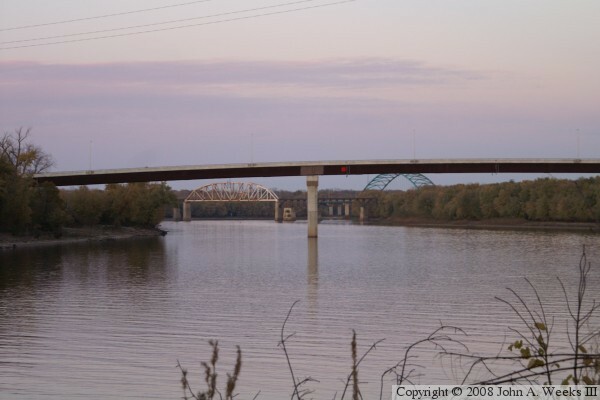 The nearer bridge is the La Salle Rail Bridge, while the bridge is the far background is the Abraham Lincoln Memorial Bridge that carries I-39 over the Illinois Waterway.